Oneka's hair and body products are available in four core varieties. Ingredients vary only slightly between the different types, so, at least for me, scent is the main determiner here. All scents are completely essential oil-based and I haven't found any of them to linger much outside the shower. Angelica & Lavender -- smells like straight up lavender. This is the strongest of the three scents and I do find it a little overpowering for my nose some days. Cedar & Sage -- beautiful, earthy and foresty, the Cedar & Sage contains a lush blend of cedar, spruce, tea tree, and mandarin essential oils. I’m not usually one for sprucy scents, but I love how fresh and airy this one is, and I can’t get enough! Goldenseal & Citrus -- Despite the inclusion of both grapefruit and tangerine essential oils, I don’t get a lot of citrus from the Goldenseal & Citrus. Ylang ylang takes front and centre, and it offers more of a mild floral aroma. If you don’t want to go all the way unscented, I think this one is the most neutral of the three scents. Unscented -- I haven’t used any of the unscented products yet, but as someone who always likes to keep unscented options on hand, I'm very tempted! From giving the shampoo and conditioner a quick sniff in store, they do seem legitimately scent free. I love finding new Canadian brands to recommend, and Oneka definitely fits the bill! 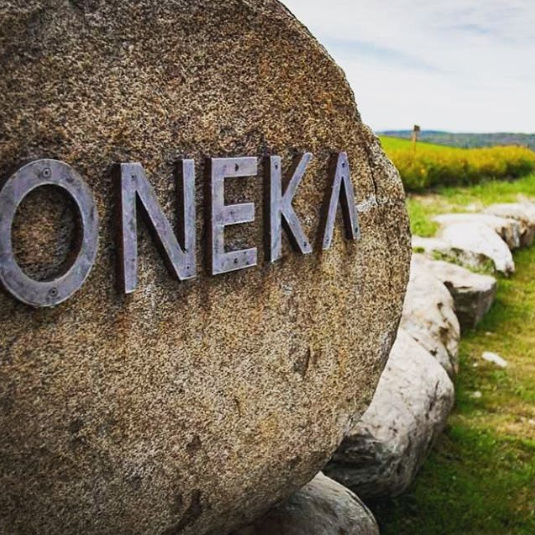 With great products, an affordable price point, full ingredient transparency, and top-notch environmental policies and ethics, Oneka is a happy discovery and a company I'm sure I'll continue to buy from in the future.